Beta Testers: Chirag Asnani, Mouse Bowden, Ric Chaz, Tamara Diaz, Robert Eppley, Richard Evans, Elizabeta Stamenkovic, Barbara Vogler. 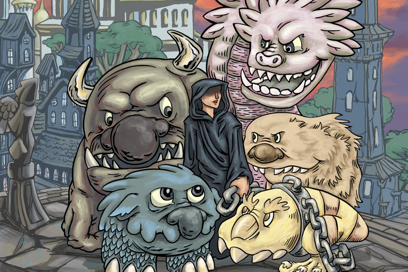 "The Last Monster Master" is Copyright 2014 Ben Serviss. All rights reserved. Ben Serviss is a game designer, writer and software engineer from New York. He makes games with indie game developer collective Studio Mercato.